Year’s ago, in the seas around the Cornish town of Padstow, there lived a mermaid. As mermaids do, she fell in love with a local fisherman, and tried to lure him beneath the waves, into her realm. The fisherman, in terror, and fearing for his life, shot her to escape. In her dying moments, the mermaid cast a curse of retribution on Padstow, to render the town’s waters unnavigable. She summoned a great storm that created a sandbank in the nearby Camel Estuary that has since claimed over six hundred ships. The Doom Bar. In the days of sail, shipwrecks were regular, inevitable events. Ships would round a corner and lose their wind, drifting straight onto the bank, their anchors unable to grip the loose sand of the seabed. Today, wrecks are much less frequent, but the mermaid’s curse still remains, ready to trap the unwary or cavalier. A perfect name for a beer, then, loaded with history, fable and more than a little bit of mystery. 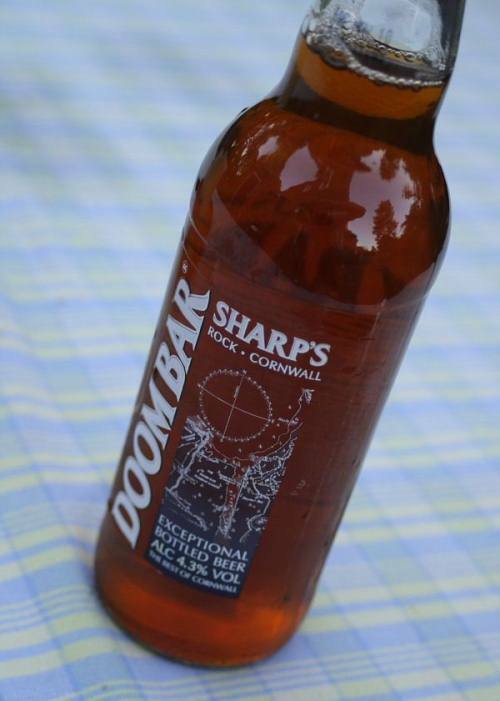 Sharp’s Brewery in Rock has been brewing since 1994, producing a range of modern beers, with Doom Bar their flagship brew. Doom Bar is spicy and a little bit sweet, with a mellow and rounded taste. There is an edge of the sea to it. It’s great bottled, but even better on tap. Sharp’s also produce a completely organic beer in partnership with the magnificent Eden Project, a huge biosphere nested on the site of an old Cornish mine. The great spheres house a collection of exotic plants in a carefully controlled environment, with the aim of understanding and protecting our environment. It’s scale is awesome, and as an experience, it’s second to none, worth the long trip to the South West alone. Eden Pure Ale takes the philosophy of the Eden Project and applies it to a beer, made with entirely organic ingredients, to prove that a beer made in harmony with nature can work and can taste great. It does, and it’s a huge success, light and easy to drink.